OK by now y’all know I’m a dehydrating fool! I bought my dream appliance, an *Excalibur 9-tray dehydrator and I think I’m in love! I’ve put that thing through the paces, dehydrating all kinds of fruits and veggies. And I’ve even made Italian-flavored tomato leather to just roll out and plop on my homemade French-Bread Pizza. No rehydration needed! I think it’s safe to say I’ve been bitten by the dehydrating bug. I use many dehydrated veggies in my wintertime simmering Endless Soup. And I use most of my dehydrated fruits as replacement for raisins in my Homemade Pumpkin Granola. But I’ve also been dehydrating veggies to grind and use for my own homemade powdered seasoning. I hate to pull out a large dehydrator to dehydrate such small portions, and it almost seems even my other small household model is a bit much. 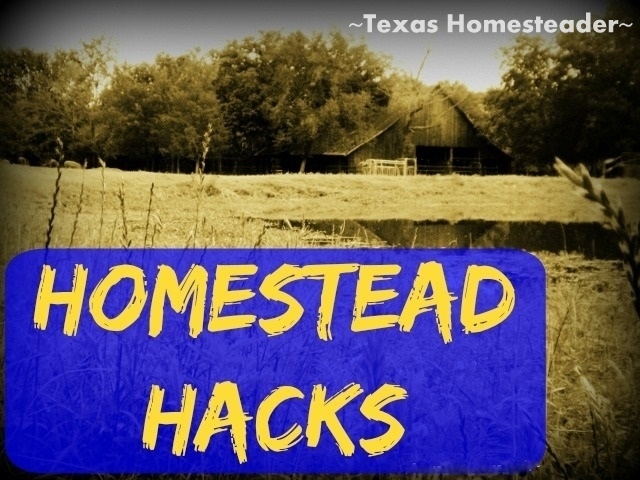 Check out today’s Homestead Hack, I’ve found a way to quickly dehydrate small amounts of food for FREE! 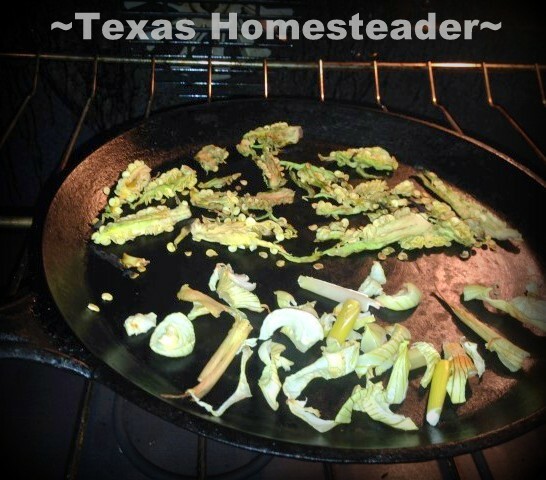 Recently RancherMan & I were making a spicy dish for a family gathering. Now usually I leave the jalapeno membranes and seeds in whatever I’m cooking for us ’cause we like it spicy! But this time we were preparing a dish to share with others who might not have the same tolerance for such spiciness. Well yeah, sure, that sounds great. But do I really want to pull out my small electric dehydrator just for these few pieces? There must be an easier way. Then I had a light-bulb moment. I had just finished baking a couple of loaves of my Homemade KitchenAid Bread and the oven was still hot. So I put the jalapeno & onion pieces on my small cast iron comal and set it in the still-hot but turned off oven. Then I just left it there overnight. When I pulled them out of the cold oven the next morning they were all perfectly dry! So I popped them into my coffee grinder that I keep specifically for this purpose and ground them up. The resulting powder is stored in a labeled spice shaker bottle. You don’t get any more “FREE” than dehydrating in a turned-off oven using veggie pieces that would have been discarded! Easier Deviled Eggs – No Mess! 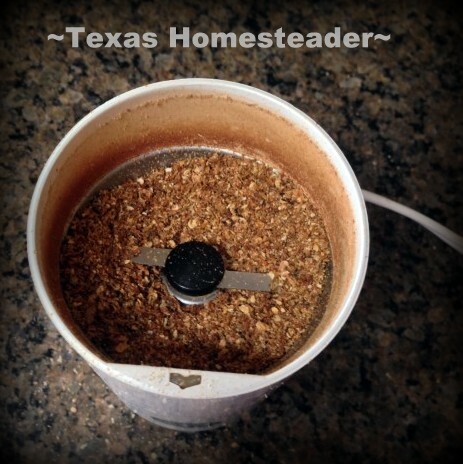 This entry was posted in Blog Posts and tagged Dehydrating, Food Preservation, Frugality, Homestead Hacks, Make-It-Yourself on November 11, 2015 by Texas Homesteader. Now that’s a great way to utilize energy that would otherwise just be wasted! Thanks for sharing on the What’s for Dinner Link up! And Happy Thanksgiving! I keep reading about dehydrating! I think it’s time to get one…but in the meantime, this is a great tip! I’ve definitely taken advantage of a still-warm oven to crisp things up before, but I hadn’t thought about leaving something in overnight and grinding it up as a spice – brilliant! Hope you have a fantastic week! That’s a great idea!! (Ps I love it spicy too!) Thanks for sharing on My 2 Favorite Things on Thursday! Hope to see you again this week! Pinned! Sorry to be such a downer, but why not just say skillet or griddle instead of such a word as ‘comal’?? I don’t appreciate having to do a search on a word from a post like this. At least, add in the familiar word as well as such a fancy one. Nice post and GREAT idea, though. I don’t have an excalibur, and would like a better dehydrator than my cheapie, but doing this in an already powered off appliance is a wonderful idea and great way to save money! My bad, Carol. Guess I thought the picture would be a dead giveaway. (I’ll adjust the verbiage in the post.) But yeah, gotta agree with ya – dehydrating in a powered-off appliance really is a great way to save money. Do you can stew meat for your soups or a quick meals. i love canned meat and used to do it a lot now have started again. can’t wait to make some endless soup. colder weather is on it’s way.Thanks for sharing! I’ve not canned meat in a long time Teresa, usually my cooked meat for quick additions to soup are in the freezer. This winter I plan to can my broth instead of freezing though, so perhaps I’ll foray into canned meat as well. I really have been bitten my the dehydrating bug Maria, but I love it.